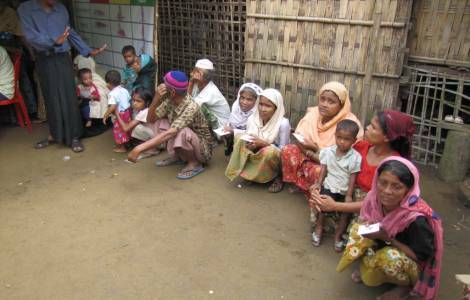 Yangon (Agenzia Fides) - The Catholic Church in Myanmar, civil society organizations, several international NGOs have expressed full approval for the UN's decision to establish an official inquiry and a mission to investigate human rights violations against the Muslim Rohingya in Burma's Rakhine State. The measure was made official by the UN Human Rights Council, which promoted an "independent international fact-finding mission" to "ensure full accountability and guarantee justice for the victims" of human rights violations in Rakhine. Simultaneously, the mandate of the UN Special Rapporteur on the situation of human rights in Myanmar has been extended for a further year. The government of Burma has publicly dissociated itself from the UN resolution. In a note sent to Fides, the Christian-based NGO "Christian Solidarity Worldwide" (CSW) observes: "The UN Council for Human Rights resolution sends an important message to the people of Burma: the international community is committed to addressing the heartbreaking situation in the country, particularly in Rakhine state. We regret the fact that the Burmese government has disassociated itself from this resolution and we urge it to fully cooperate with the mission to establish the facts, providing full and unrestricted access to UN delegates, particularly in Rakhine state, but also in Kachin and Shan states. There are, in fact, reports of serious human rights violations also in the north of the country". CSW also calls for the Burmese army to immediately stop the military offensive in Rakhine to allow immediate access for humanitarian aid to the displaced. The condition of the population of Muslim Rohingya has deteriorated rapidly since October 2016. On 9 October 2016, nine police officers were killed in an attack in Rakhine on the border between Burma and Bangladesh. The Burmese military branded the incident as an "act of terrorism", sparking a broad military offensive against civilians, which led to a serious humanitarian crisis and a flow of evacuees. The soldiers are accused of committing serious human rights violations against the Rohingya, burning houses, carrying out executions without trial, torture and mass rapes.